– Speaking long-term — probably very long-term or impossible — I’ve always been interested in a broad family tree of animation/animators. As in, having a branching diagram of animators through history based on their styles, backgrounds, predecessors, schools of thought, etc. Kevin: Let’s start strong. 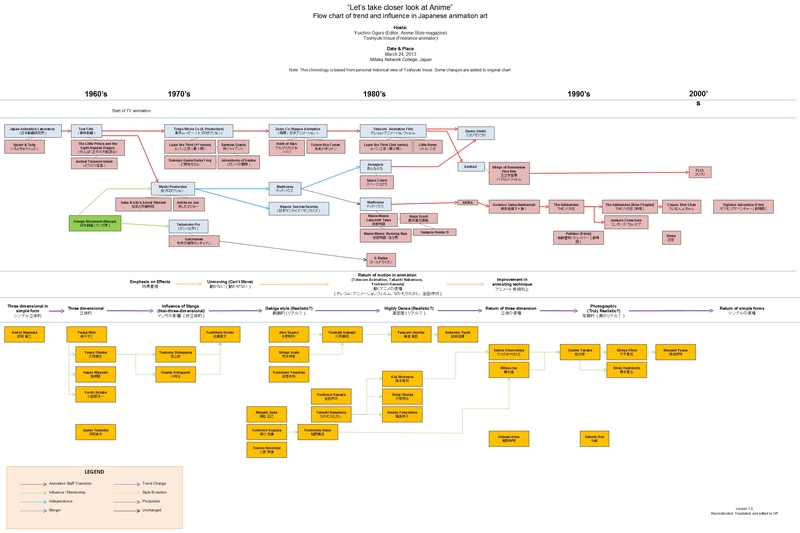 As you’ve already guessed, a fully comprehensive chart of the evolution of Japanese animators is basically impossible. 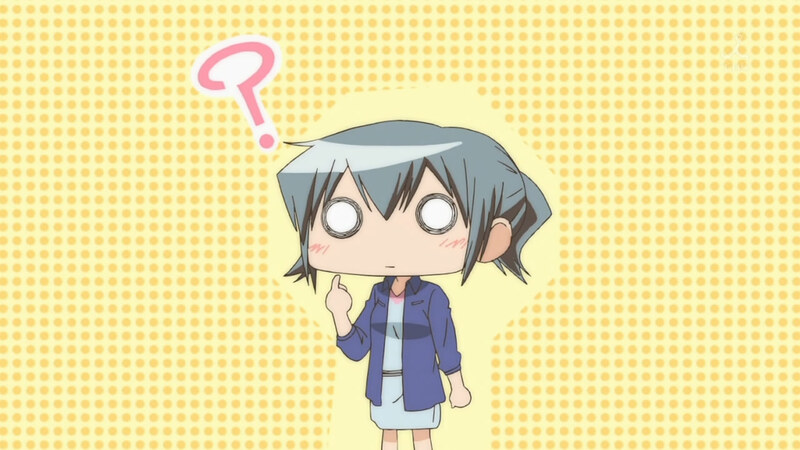 And a limited one has inherent and rather dangerous downsides – highlighting just a small subset of artists as the sole influences and relevant figures throughout history has led to some communities having bizarre cult of personality attitudes; thinking this handful of animators is responsible for all the good work in anime is a gross attitude we’ve had to confront even on Sakugabooru. ‘This is so good, only X would be capable of it (even though X wasn’t involved at all as he was way too young to)‘. ‘This looks way too good to be Y’s work, it has to be 3DCG (despite Y being an excellent artist who simply hadn’t received much exposure)‘. That’s what we really want to avoid. – The first is simple: In the context of anime (or animation in general), what exactly is a “cut”? This is a very basic vocabulary thing that’s never really explained, probably because it’s so basic, so I think it might be good to have a canonical reference to point to for people who are genuinely brand new to the concept. Ryan: Cuts in anime are basically the same as shots in movies – continuous looks at the events. Multiple of them are used to comprise a sequence, and they can be short or long depending on the type of scene (though the latter are rare, since anime’s production model would require a single animator to handle way too many consecutive keyframes). The easiest way to explain them is through examples, so let’s take a look at two recent uploads on the booru: this upload is composed of three cuts (0:00 – 0:09, 0:09 – 0:12, and 0:12 – 0:23), while this upload is one single cut. Another way to think about it is simply the “camera” switching to another position; a cut can move the POV, but it ends the moment it cuts to a different one. – The second is my “real” question. Whenever Yutaka Yamamoto/”Yamakan” is mentioned, it seems to be with some derision, or with some reference to his fall from grace. What’s the actual story here? Who is he, and what did he do to earn him this reputation? Kevin: I hesitated a bit about answering this, since he’s a very unpleasant person who feeds on attention. Long story short, Yamakan was a photography artist at KyoAni who eventually became an episode director (though not at Kyoto, but at Osaka’s Do branch), which is a bit of an unusual development since the studio’s directors are animators. He was allowed to direct Lucky Star but was removed from the post after 4 episodes, with a brutal official statement that read they felt he wasn’t good enough for the role of director. He left the studio and ever since then there has been hearsay about him getting sacked over sexual harassment instead, something you’ll never find solid proof about but that fits with how much of a creep he is – he outright tweeted he’d have to stop harassing one of WUG‘s VAs at some point, as if it were a good deed of him to quit. He basically broke back then, holding a ton of grudges and attacking right about everything in the industry that got more attention than he did. There was a JP thread compiling all his rude statements and he really fired at almost everything popular or critically acclaimed. Now that his personal career is fading into nothingness he seems to be getting even nastier, like the recent incident with Mizushima on twitter where he acted like an awful brat. The best possible outcome would be everyone forgetting about him, honestly. – You vaguely hinted in the Pokémon S/M post about how long-running series have different production cycles than seasonal stuff. Could you possibly go into more detail as to what their productions look like and how exactly they differ from the more common case? Liborek: Long-running series are structured to sustain a long run without having to deal with a decaying production schedule. The usual production practice is using a so called “team rotation”; the studio assembles necessary amount of “teams” beforehand and each one of them handles an episode in each rotation. For example, “team 1” handles episode 1, “team 2” handles episode 2 et cetera. This is limited by the amount of in-house production assistants, as each one is in charge of one team. To extend the production time and lessen the pressure on the studio, outsourcing is necessary. A normal rotation would include around 2 to 3 outsourced episodes. Once the rotation ends, for example with “team 9” doing episode 9, a new rotation starts with “team 1” doing episode 10. In a 13 episodes long TV anime, production assistants are rotating in the same way, but their teams are not as stable. Less outsourcing is needed, which leads to the schedule tightening in the second rotation because the cycle is shorter. Shorter productions are also often not blessed with a good lead time from the investors, which means the schedule is tight from the very beginning. On the other hand, Pokémon in particular is over a half a year ahead – it’s a very rare case of such a long lead time, even within long running anime. – And on a similar note, how different are things for full/mostly-3DCG productions? Kevin: Since full 3DCG productions handled by people tied to the ‘regular’ anime industry are still rare, we don’t have as much data to draw from, but the gist of it seems to be that they suffer way less – which makes a lot of sense, volume alone and having to spread talent too thin is one of 2D anime’s biggest issues at the moment. Toei’s upcoming 3DCG TV anime Kado has been extremely open about the production process so they can give you plenty of frames of reference. On December 16th they said Episode 1 was 93.3% done, 2 was at 83.3% and 3 at 48.4% (for a show airing in Spring). On Christmas they specified all scripts, storyboards, voiceovers and BGM were also done. That would be fairly solid for regular anime…though Kado is a weird project even on its own league, since during preproduction it was supposed to be a film (and even got announced as such!). Not the first time Toei fundamentally changes a project’s structure/nature like that (Digimon Tri, Popin Q) lately, and they do it so clumsily even fans can notice it. Oh Toei, you so silly. But thanks for the production updates. – A bunch of animated genga I see posted online tend to have some parts of the drawing that are just unfinished. Let me use an example, this is a recent one: twitter.com/oekaki_obasan/status/.. – as you can see, the eyes and other face details disappear and reappear multiple times as the head moves. My question is, who finishes those details for the final drawings? Is this the job of the clean-up staff, or inbetweeners? And what do they use to fill it, do they just copy the drawings from the parts of the genga they show up, or do they “inbetween” those details, if that makes sense? Kevin: That’s not the best example since it’s a random sketch, but whenever you see that happen to actual key animation the answer is even simpler than that. There’s no need to draw things that don’t move! Even if you see hair motion, if the factions remain the same for a few frames that part is omitted since it’s already been drawn. Same with body parts and whatever drawn element that doesn’t change. Within storyboards you also often see a more detailed establishing shot, then a shift into simpler panels that only detail whatever actively changes. – I’ve been looking at Anime Tamago stuff. See: animetamago.jp/title.php?id=2 for reference. What is 中堅原画 and how does it differ from 指導原画? Liborek: The instructor animator [指導原画] is their new explicit role for the person who leads the newbies through the course and gives them tips and advice. 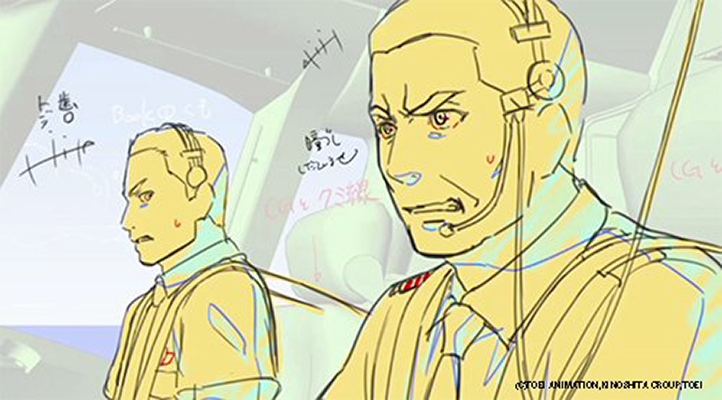 Experienced/core animators [中堅原画] work on the project alongside the newbies but doesn’t interfere in their education. They might have sometimes done tutoring work before, but it seems like now they’re more independent. It’s important to point out that the Young Animator Training Project explicitly specifies that the instructors aren’t allowed to directly correct the drawings as usual, the newbies’ final output must be drawn and fixed by themselves (following the tips they’re given, of course). And that’s it for now! In the end we’ve had to split the material we had planned into two posts because it was quite the long post otherwise. All questions we’ve received to this point are already answered though, so look forward to the rest soon. This is the gist of it either way – we’ll keep on answering our supporters’ questions then sharing the answers so that they can be useful to everyone else. It’s not as if we’re not willing to support people who have doubts and can’t keep throwing money our way, but this is a good way to ensure you get a proper answer for those who can afford to. And it helps us keep this site going, so hopefully it will work out! Support us on Patreon so that we can keep producing all this content and fullfill our next goals, as well as affording all server expenses. Those who contribute $5 and more will have access to this Q&A system! I liked very much! I’m following the blog a little while but I find it fantastic!